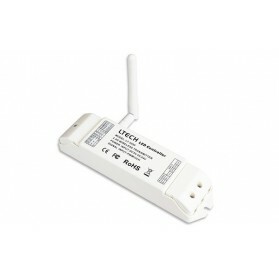 This Power Repeater Wireless Transmitter allows you to amplify the LED signal wireless. 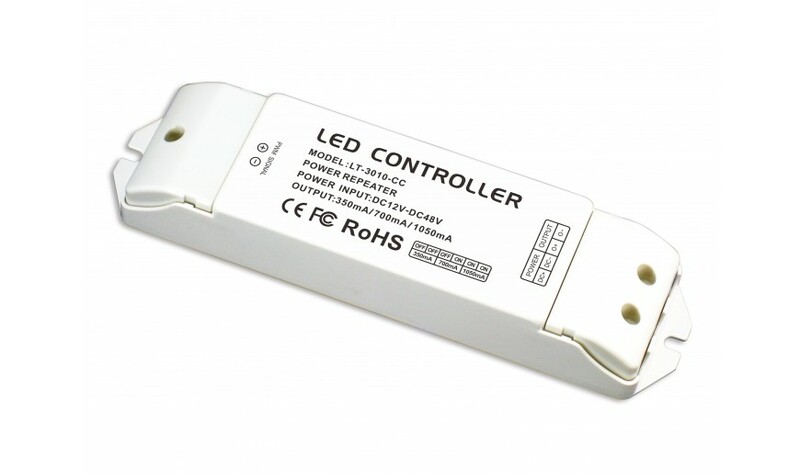 In combination with a PSU the LED strip can be further extended. 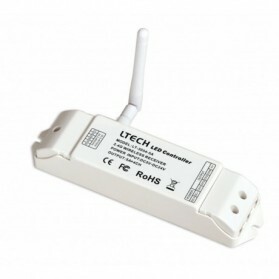 The transmitter can send 3xPWM. 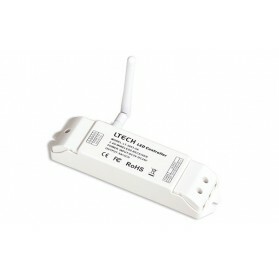 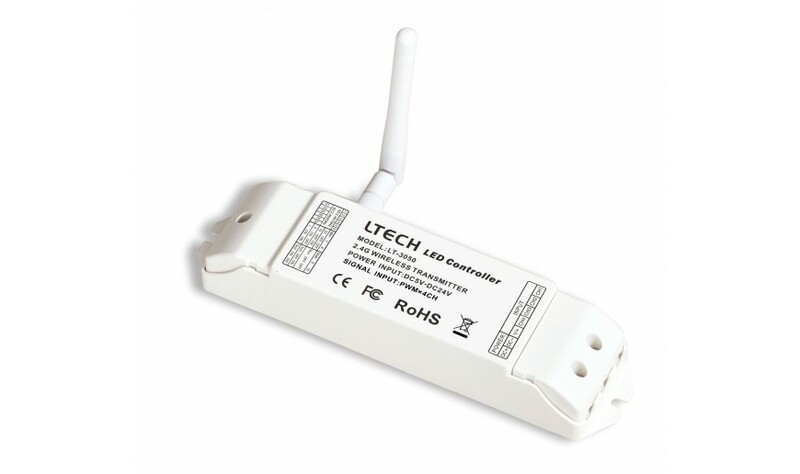 This Power Repeater Wireless Receiver allows you to amplify the LED signal wireless. 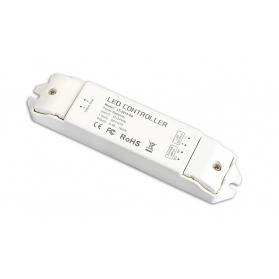 In combination with a PSU the LED strip can be further extended. 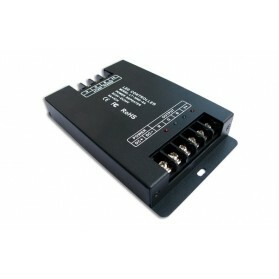 The receiver can receive 3x5A. 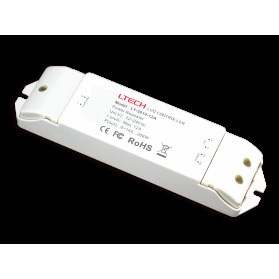 A powerful single channel PWM Power repeater. 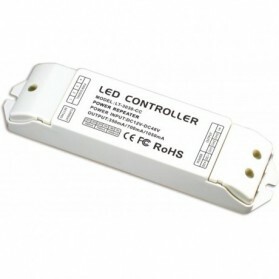 Suitable for 5 to 24 Volt LED products. 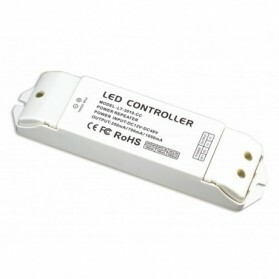 This Power Repeater is suitable to use with 350mA high power LED's. 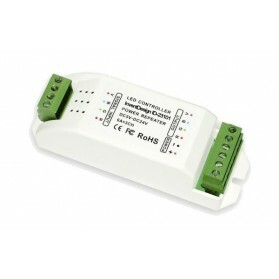 This Power Repeater has three outputs of 8A each and can be used for 12V and 24V LED strips. This Power Repeater is suitable to use with 700mA high power LED's.